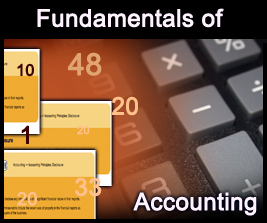 There are several principles and concepts used in accounting. When you understand these, you will be able to read financial information and make better decisions as a manager and owner of a company. The following articles are educational in nature and designed to teach the fundamentals of accounting. They are written assuming the reader is a novice as it relates to accounting. Please take your time and read to gain a better understanding of the accounting concepts and principles. Simply put, ‘cost of goods sold’ equals the direct costs of materials, human resources, and equipment needed to produce the item sold. However, this can be confusing because there are many marginal cost items that affect the real cost of producing and selling the item. Cash flow is the ability of a business to turn its product or service into cash. It is generally measured in dollars or in dollars against a time period. The simplest example I can think of is a child selling lemonade. How is Cost of Goods Sold in Retail Determined? Contribution margin is a core business concept and is often used in cost accounting to identify the amount of financial contribution a sold product provides to the company. Simply put, contribution margin is the sales price less the direct costs (sometimes referred to as variable costs). Deferred or unearned revenue is an advance payment made by a customer for a product or service that has not yet been rendered (delivered). Accounting’s primary purpose is to measure economic activity. There are several different methods to determine the economic value generated in your business each year. In accounting this is referred to as sets of books. There are four basic sets of accounting books. Each has a different purpose and end goal. Many business owners misunderstand the use of term ‘Cost of Sales’ by restricting it to just simply ‘Cost of Goods Sold’. Basically, most business entrepreneurs and even accountants don’t realize that it has several different names and presentation formats. But it is essentially costs of sales. Many of the business performance standards are measured against a baseline. For the bulk of production and operation performance tools the baseline is net sales. The key to an accurate performance standard is having an exact sales figure. The accounting profession uses various tools to generate accurate accounting information at the close of accounting cycles (monthly, quarterly and annually). The primary document is the working trial balance. It is very similar to the traitional trial balance except there are additional columns used to identify various adjustments and the corresponding source documents (work papers). Pooling of costs is an accounting trick used to facilitate better matching of costs against the respective revenue stream or predicted cost for the respective product or function.